Insulated Hoodies that keep you warm. Stay warm in cold weather. In fact, stay a little dryer in the rain too. This can make a good barn coat, yard coat, or bonfire coat. (NOt flame retARdent, though - keep away from open flames if you can) This work coat breaks in easily for years of comfort. 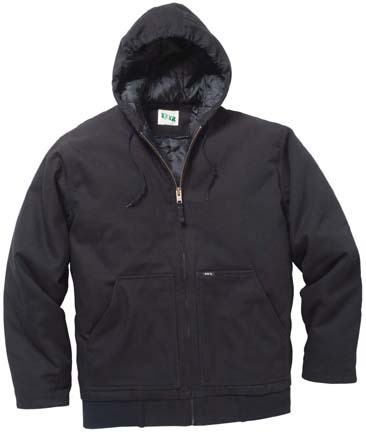 Style : KEY 372.__ Insulated Hooded Duck Jacket – Water & Stain Repellent Finish.